Published For: Consulting Engineers of Alberta Phipps-McKinnon Building Suite 870, 10020 - 101A Avenue Edmonton, AB T5J 3G2 Phone (780) 421-1852 Fax (780) 424-5225 Email: info@cea.ca www.cea.ca ChieF exeCutive oFFiCer and registrar Ken Pilip, P.Eng. Contributing writers Collen Biondi, Carissa Halton, Jen Janzen, Lewis Kelly, Jordan Wilkins, Shelley Williamson Contributing PhotograPhers and illustrators Buffy Goodman, Raymond Reid, Constantine Tanasiuk, Joey Podlubny, Randy Wiens Cover illustration by Raymond Reid Contents © 2014 by Consulting Engineers of Alberta. No part of this publication should be reproduced without written permission. Non-deliverable mail should be directed to CEA: Suite 870, 10020 - 101A Avenue, Edmonton, AB T5J 3G2. One instrument providing laser scanning, 3D digital imagery and precision total station capabilities... For the first time, the Leica Nova MS50 combines every significant measuring technology in one device and opens the doors to a fascinating new dimension of the geospatial world. All functions, including precision 3D laser scanning, extensive and precise total station capabilities, digital imagery and GNSS connectivity are now brought together in the Leica Nova MultiStation. All images are synchronized with scans and all scans are tied into total station measurements, for the easiest way of managing your complex 3D data. 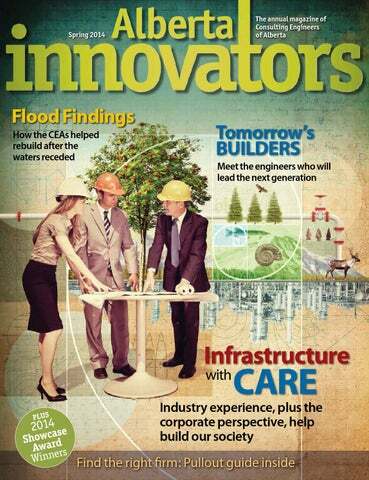 N BEHALF OF THE GOVERNMENT OF ALBERTA, I am pleased to offer my best wishes to the Consulting Engineers of Alberta for the 2014 issue of Alberta Innovators. As Albertans, we take great pride in the role innovation plays in our province. Along with our self-determination and resiliency, innovation is what help to define us. We are known for being leaders at the forefront of research and development – from nanotechnology to computer sciences, energy to infrastructure – and engineers help drive these innovations. To move forward, we must continue to attract the best and brightest minds into this wonderful profession. It is fitting that your theme for the upcoming year is Building Our Place in the Community. During the floods of 2013, engineers and their respective firms were heavily involved in the disaster relief and rebuilding efforts. I know in the upcoming months and years, Albertans will be relying on the excellence of our engineers so our province can continue to rebuild, grow and prosper. The Consulting Engineers of Alberta has been supporting professional engineers, technologists and support staff in this province for more than 30 years. I wish you continued success and congratulations on the publications of the latest issue of Alberta Innovators. the answer. QBS starts with selection of a qualified consultant, who then works with the client to define the objectives and scope of work. Following that, the parties negotiate a suitable price and undertake the work. Organizations using this approach, such as the City of Calgary, report fewer change orders; very few cost-overruns, and greater innovation. Tetra Tech EBA has aligned our reputation and services with our other Tetra Tech companies in Canada to provide broader and integrated services across Canada and around the world. CLEAR SOLUTIONS FOR WATER, INFRASTRUCTURE, ENERGY AND THE ENVIRONMENT Tetra Tech’s scientists and engineers are developing sustainable solutions for the world’s most complex projects. With more than 4,000 employees in 50 offices across Canada and over 14,000 employees in 350 offices worldwide, we have grown to become one of North America’s largest engineering and sciences firms. From water and transportation projects, to renewable energy and mining services, Tetra Tech provides innovative solutions in consulting, engineering, program management, construction management, and technical services worldwide. ACEC influences the federal government and other national stakeholders to create a regulatory and business climate that is favourable to consulting engineering companies. ACEC’s annual “Parliament Hill Day” provides an opportunity for representatives of member firms to meet with Members of Parliament and raise awareness of issues affecting our industry. In October, ACEC applauded the government’s commitment to a 10-year infrastructure program but stressed the urgent need for planning and application processes to begin. ACEC also highlighted the need for investment in northern infrastructure to access and transport Canada’s natural resources. ACEC is increasing outreach to organizations that represent private sector clients. We’re collaborating with the Mining Association of Canada, Prospectors & Developers Association of Canada and NWT Chamber of Mines to study the challenges of doing business in the North and identify strategies to encourage private investment. ACEC recently adopted a position on oil and gas transportation. Expanding and modernizing oil and gas transportation infrastructure is vital to prosperity. ACEC will also expand its advocacy to include a new Parliamentary Partners program. Under this new initiative, ACEC supports members building relationships with local MPs. consulting engineering to Canada’s social, economic and environmental quality of life. Each year, ACEC hosts the Canadian Consulting Engineering Awards, a marquee industry event that in 2013 saw 26 presentations, including Awards of Excellence and Special Achievement Awards. We encourage all members of Consulting Engineers of Alberta to enter their projects in 2014 and participate in this national showcase of excellence in our industry. ACEC partners with organizations and supports programs that provide opportunities to raise the profile of consulting engineers among clients, politicians and other industries. We promote consulting engineering through student outreach activities, a proactive media strategy and by being an influential participant in the International Federation of Consulting Engineers (FIDIC). We are recognized by public and private sector clients, and by the consulting engineering sector, as the authority on business practice issues. ACEC works with industry experts to offer professional service agreements for use by consulting engineering companies and their clients. We continually monitor trends through benchmarking and industry surveys. Our annual summit offers a business program geared to industry leaders, and we regularly provide training seminars that help engineering companies succeed. ACEC encourages the use of qualifications-based selection (QBS) to provide the best value to clients. Accessing financing whenever you need it. Getting the interest rate you deserve. Avoiding an application process with every purchase. Now you can with the RBC Equipment PurchaseLine™ You’ll know how much credit you can access for the whole year with lease and term borrowing options. Even better, you can set it up ahead of time so it will always be there when you need it. Open your RBC Equipment PurchaseLine today Simply call 1-855-561-6723 or visit us at www.rbc.com/equipment. his perspective.â&#x20AC;? One example was the critical importance of budget and time frames to the client. â&#x20AC;&#x153;Often I had to work hard to justify my (waste management) project and get it approved â&#x20AC;&#x201C; and the basis for that approval was a schedule and budget derived from the consultant.â&#x20AC;? If the project went late or over-budget, Ruffell had to go to his supervisors and â&#x20AC;&#x153;beg for forgiveness,â&#x20AC;? which is not something you want to do with any frequency. â&#x20AC;&#x153;Consultants need to remember that they work as part of a chain. If they fail, the chain fails.â&#x20AC;? Owners of consulting companies understand this. â&#x20AC;&#x153;We are more useful to our clients if we understand their business first, their problem second,â&#x20AC;? Ruffell says. Junior CEs can learn from people inside the consulting organization who have worked in industry. But if you donâ&#x20AC;&#x2122;t have industry knowledge, resist trying to fake it for the industry professionals, recommends Ruffell. â&#x20AC;&#x153;They can see an imposter from 50 yards.â&#x20AC;? Consulting engineers provide a critical role in safely and securely developing our natural resources. They continue to execute leadership in the field and will be the key to ensuring the sustainability of our provinceâ&#x20AC;&#x2122;s most precious commodities. AGENTS OF CHANGE: The Canadian International Institute For Extractive Industries And Development (CIIEID) What it is: A world-renowned centre of expertise that will help developing countries reap the full benefit of their natural resources. It will share best practices, consult about capacity building, policy, legislation and regulation development and support education and research innovation to create jobs and prosperity. Where it is: At the University of British Columbia, operating in conjunction with Simon Fraser University and Ă&#x2030;cole Polytechnique de Montreal. International partners will also provide consultation and expertise. When it began: Prime Minister Stephen Harper made the announcement in October 2011. The UBC became the operational site in November 2012. Who it will help: Initial analysis suggests assistance to Latin America, Sub-Saharan Africa and Asia. Who funds it: The Canadian International Development Association (CIDA) provided $25 million. For more information: Contact Bern Klein, acting executive director, at devinstitute@mining.ubc.ca. STAMPEDE PARK: Less than 10 days before the 2013 Calgary Stampede, the floods threatened the Greatest Outdoor Show on Earth. REBUILDING: Much of the industry’s post-flood continues to be focussed on recovery of the areas hardest hit, such as Kananaskis. Whatever these projects of the future look like, no doubt they will continue to showcase not only the industry’s expertise, but also its relationships. The work that occurred because of the 2013 f loods could not have happened without the co-operative relationships consulting engineers, contractors and local governments have built in offices and ditches, on drenched roadways and windy bridges. “In the infrastructure business,” McClary says, “no one gets it done by themselves.” This co-operation isn’t limited to industry partners, either. The work of consulting engineers during and after the f loods reinforced the industry’s community connections. “It was amazing to work in that environment,” recalls McClary. “We were in one of the worst hit f lood areas in Calgary. Folks around us were struggling to empty out their basements, yet were so supportive of what we were doing. Ordinary citizens came down to hand out food to volunteers and included us in the bunch.” For the first time in McClary’s 35-year career, a team of nuns supported him on the job. Their retirement building was not far from the crippled Scollen Bridge and, despite experiencing their own losses, the women stopped by the construction site with baked goods. “Muff ins, anyone?” the nuns asked. They handed out the treats, and it was one of the few times the crews would take a break that week. GRAYLING TERRACE: Fort McMurray was one of many municipalities affected by the June floods, which involved the help of consulting engineers early on. TOP FIVE: Consulting engineers have a smaller cohort in the 20- to 40-year-old age group. Meet tomorrow’s leaders. work and the houses in which we live to the wastewater systems that keep both safe and pleasant, engineers build the world around us. Talking to the rising stars of consulting engineering, then, can reveal the personalities that will shape our lives and those of our children and grandchildren. Innovators caught up with five of the industry’s Young Turks for some insight on where they come from and how they plan to build our world. To hear Todd McGaw speak about the process of designing mechanical systems for buildings, you would think he was waxing poetic about a painting or a piece of sculpture. “It’s a creative process to bring together mechanical and electrical systems; I liken them to the lungs and veins of the body. Your building takes life when you start it up and it does have a life of its own. There’s creativity in bringing those systems to life,” says the consulting engineer and vice-president of mechanical engineering at Hemisphere Engineering. Picture Perfect The CEA would like to thank Jake’s Framing for the expertise it brings to making our certificates and awards look special Jake’s Framing is an independent picture framing retailer operating in the city of Edmonton, Alberta. Jake’s was established in 1993 and currently employs a staff of two. Award for Distinguished Achievement recogniz es its recipients’ accomplishments and contributions to the consulting engineering industry and to their communities across Alberta. It’s the highest individual honour the CEA bestows upon its members. It’s only fitting, then, that since the inception of this prestigious award in 2007, a little extra ingenuity has gone into its design and creation. AWARD Chambers customizes the bearings, an area that kaleidoscope makers overlook. “I guess that’s the engineer in me,” he says. Myriad call out style something like this. I think itâ&#x20AC;&#x2122;s pretty good. What do you consider to be a fine font? The Alberta Roadbuilders & Heavy Construction Association would like to acknowledge our 2013-2014 Chairman, who is returning for a second term! Dwayne Berlando Lahrmann Construction Inc.
Let’s Make a DeaL Describing himself as “not very bright” in his high school years – blaming poor grades on his weekend job at a gas station and an addiction to playing chess with his friends – Breeze was inspired to become an engineer while he was stationed with the British Army in 1964. He helped build bridges, demolish old buildings, and generally got his feet wet in the world of military engineering. When he left the army in 1966, he went back to high school to get enough credits to apply to Kingston University. Breeze married Pam in April 1969, but before they could truly settle down, he found out that he had been accepted to university. That’s when the negotiating began. Pam said she’d support him through university if he would support her wish to raise children once he finished his training. They didn’t exactly shake on it, but four years later, Breeze graduated. Their first daughter, Katie, was born in 1974. Simon came in 1975, just before their move to Canada, and Lucy – “the real Canadian,” jokes Breeze – was born in 1977. Pam has remained the matriarch of the Breeze family, which now includes two teenage grandsons. The future of self-regulation is in your hands. The Association of Professional Engineers and Geoscientists of Alberta invites its members to help shape their Association and their professions. Vote in the 2014 APEGA Council election. They are your professions and your Association. Online polls open at 9 a.m., Monday, March 3 and close 12 noon, Sunday, April 6. Visit apega.ca to learn more. other young professionals to share experience and hear about the variety of projects that are happening within our industry. It is also a great chance to meet with our peers and discuss the different aspects of consulting and daily challenges. We often discuss design approaches and project management challenges that we face daily. We hold technical tours, workshops, mixers, and speaker series throughout the year to promote the participation and development of young professionals in our industry. We are currently planning our first young professional CEA conference, which will happen in Edmonton on May 2, 2014. We’re holding a mixer the night before the conference that will allow the attendees to network. Our guest presenter that evening is discussing the theory and techniques of networking. The next day, it’s a full-day conference with a variety of speakers focusing on career planning and progression. The conference finishes with a reception, dinner and keynote speaker. The goal is to provide a conference specifically designed to benefit young professionals in the consulting engineering industry, and to answer some of our common questions. 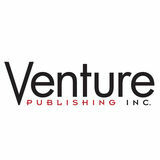 We have established young professional (YP) groups in Calgary, Edmonton and Red Deer. Our mission is to enhance the growth of the CEA and the consulting engineering industry by promoting the participation and development of young professionals. In order to achieve success, we have four fundamental goals: 1) To improve communication 2) To improve participation 3) To provide professional and personal development for young professionals 4) To increase recognition and celebrate the successes of young professionals The YP groups in Calgary, Edmonton, and Red Deer plan events throughout the year, focused on achieving these goals. We define young professionals as those engineers who have worked for less than 10 years in our industry. For more information, or to learn about YP events in Alberta, please visit YP webpage under committees at www.cea.ca. project is a trip down memory lane. One of his first-ever postings was that of resident engineer for the construction of the CN Rail/Edmonton transit underpass near the Coliseum (now Rexall Place). It was 1974, and Washuta was fresh out of the University of Alberta’s civil engineering program. Edmonton was the first city with a population of less than a million to implement a light rail transit system, and Washuta was thrilled to work on it. “That was leading-edge work for a small city,” he says. In 20 0 0, when the City of Edmonton started to expand the LRT track south towards the university, Washuta was back where it all began. He has continued to work on the different phases of the LRT, helping to design and build tunnels, grade separations and stations to accompany the extended tracks. His work with the City of Edmonton counts as a career highlight, and it’s working with long-term clients that gives him a strong sense of pride. From the days of helping his dad around the house with various projects – they once jacked up the house to retrofit it with a concrete basement – Washuta has always been building things; the larger and more complex, the better. When the province built and maintained its own infrastructure, he worked with Alberta Transportation as one of several engineers responsible for design and construction of the province’s bridges. OLD MAN RIVER: Among Art Washuta’s projects is the Old Man River Dam spillway, the largest of its kind in Alberta. EDMONTON LRT: Since its creation in 1974, Art Washuta has long been called to work on the city’s LRT. DEW LINE: Among his DND projects were building short-range radar stations along the Arctic coast. THree TiPs To CrafT a Winning ProPosal Washuta says right off the bat that he may be a rare species. “I’m one of the few engineers who really enjoys writing proposals,” he says. Over the years, he’s had a chance to hone his skills, and has boiled it down to three main objectives: 1. Have a champion. Washuta says a champion is “somebody who lives and breathes the pursuit of the opportunity, somebody who is driven and enthusiastic and wants to win the job.” Ideally, this champion would also be the future project manager if work goes ahead. 2. Understand the client’s needs. What’s their project history? If you know where your potential clients are coming from, you’ll be able to forecast the kind of work they’re looking to have done. 3. Plan, plan, plan. How are you going to approach the project? What are you going to do differently from your competition? Look for innovative solutions. “Emphasize the strengths of your team and think carefully about what you’re going to do to neutralize your own weaknesses,” Washuta says. And use graphics – it has to look as good as it reads. Matt Brassard Vice President Urban Systems Ltd.
Sheldon Hudson, P. Eng. Past President Al-Terra Engineering Ltd.
Heinrich Heinz, P. Eng. Director Thurber Engineering Ltd.
Eva Schulz, P. Ag. Director AECOM Canada Ltd.
Doug Olson, P. Eng. Treasurer Associated Engineering Ltd.
Todd McGaw, P. Eng. Director Hemisphere Engineering Inc.
Deon Wilner, P. Eng. Director ISL Engineering & Land Services Ltd.
Craig Clifton, P. Eng. President Clifton Associates Ltd.
You’ve paid your dues. Start paying less with TD Insurance. Professionals can save more. At TD Insurance, we recognize all the time and effort you put into getting where you are. That’s why, as employees of a member firm of the Consulting Engineers of Alberta, you have access to our TD Insurance Meloche Monnex program which offers preferred group rates and various additional discounts. You’ll also benefit from our highly personalized service and great protection that suits your needs. Get a quote today and see how much you could save. The TD Insurance Meloche Monnex home and auto insurance program is underwritten by SECURITY NATIONAL INSURANCE COMPANY. The program is distributed by Meloche Monnex Insurance and Financial Services Inc. in Quebec and by Meloche Monnex Financial Services Inc. in the rest of Canada. For Quebec residents: We are located at 50 Place Crémazie, Montreal (Quebec) H2P 1B6. Due to provincial legislation, our auto insurance program is not offered in British Columbia, Manitoba or Saskatchewan. *No purchase is required. There is one (1) prize to be won. The winner may choose between an amount of $60,000 CAD to build a dream kitchen of his/her choosing or $60,000 CAD cash. The winner will be responsible for choosing a supplier and for coordinating all of the required work. The contest is organized by Security National Insurance Company and is open to members and other eligible persons who reside in Canada and belong to a professional or alumni group which has entered into an agreement with the organizer and is entitled to receive group rates from the organizer. The contest ends on October 31, 2014. The draw will be held on November 21, 2014. A skill-testing question is required. Odds of winning depend on the number of eligible entries received. The complete contest rules are available at melochemonnex.com/contest. Actual prize may differ from image shown. ®/ The TD logo and other trade-marks are the property of The Toronto-Dominion Bank or a wholly-owned subsidiary, in Canada and/or other countries. Corry G. Broks, P.Eng. President, Al-Terra Engineering Inc.
Leo Broks, P.Eng. Board Chairman, Al-Terra Engineering Inc.
going beyond clients’ expectations. “I get satisfaction from adding value to a project,” he says. “I like to save money for the client, and I like to use land in a more productive way.” “I like being able to offer low-cost solutions with high returns,” Corry says. He offers some examples from Al-Terra’s recent portfolio. “We designed a jug-handle on 17th Street and Baseline Road,” he says. “It was an area of high collisions and putting in an interchange was cost-prohibitive. The jug-handle removed left turns and made the area safer.” Likewise, there are the rural roundabouts. Thinking outside the box, Al-Terra came up with roundabouts as a studied, low-cost solution to four- and five-kilometre queues forming in peak times at intersections on Highways 11A and 20. Dedicated mentors, the Brokses believe that taking care of the next generation of engineers is the best way to ameliorate the dearth of professionals in the 20- to-40-year age group. “And mentorship is how you achieve controlled growth,” Corry says. They are the progenitors of two namesake $5,000 engineering scholarships. “One of the gratifying aspects of developing Al-Terra,” says Leo, “has been mentoring young people, who’ve developed into exceptional engineers and leaders, many from the U of A and U of S co-op programs.” Their company is built on the premise that they give back to their community in tangible ways, too. “We give to a number of charities,” Leo says. “We donate about one per cent of our gross,” Corry adds. “Every year we identify a charity, and usually charge a junior person with overseeing the process.” Both Brokses married school teachers, who helped them get through the rough times in the 1980s to later prosperity. Both raised three sons, and both have a clutch of grandkids to dote on. It’s fitting that, in recognition of their many years of excellence in civil engineering and community service, they both receive the CEA’s Lieutenant Governor’s Award for distinguished service. Congratulations, Messrs. Corry and Leo Broks. former speaker honoured by Cea The newly created Consulting Engineers of Alberta (CEA) President’s Award will be presented to former MLA, Deputy Premier, Cabinet member, and Speaker of the Alberta Legislative Assembly, Ken Kowalski. The award was created to recognize and honour an individual outside of the consulting engineering profession who has made an outstanding contribution to the consulting engineering profession. Ken Kowalski was born in Bonnyville and pursued a career as an educator. He moved to Barrhead to teach social studies – politics was not on his mind. He liked Reach for the Top, the CBC television program that pitted students from one school against another in an academic competition. Alarmed that Lorne Jenkins High School could not participate because of prior poor performance he went all the way to Ottawa to get special dispensation and received provisional permission to enable his school to participate. Then he got to work. His magnetic enthusiasm and organizational skills led to creation of intramural Reach for the Top competitions. One former student says there were more students involved in Reach for the Top than there were playing sports. The Barrhead team succeeded – undefeated all the way to national champions in 1973 making six other national appearances in the 1970s and considered “the program’s most successful competitors.” This story is typical of the way Ken Kowalski lives his life. His successes show that, for him, nothing is impossible. In 1974 Deputy Premier and Minister of Agriculture Hugh Horner recognized the talents of the young teacher and convinced Ken to change jobs and become his assistant. Thus began a new career. When Horner became Minster of Transportation, Ken became assistant deputy minister shortly thereafter – the youngest deputy minister in the province’s history. His relationship with the engineering profession had begun. In 1979, Hugh Horner retired from politics and Ken ran in the by-election. Again his infectious enthusiasm and ability to meet people on their terms made him successful – through nine elections and four premiers. He served as Minister of Environment; Minister of Career Development & Employment; Minister of Public Works, Supply, and Services; Minister of Economic Development & Tourism; Deputy Premier; Government House Leader; and then as Speaker of the Legislative Assembly until his retirement in 2012. CEA was originally established in 1978 as an association of consulting engineering firms. Although successful, CEA always wanted to have their organization formalized and after discussion with Ken Kowalski a decision was made to develop a Consulting Engineers Act. As Minister of Public Works, Supply and Services, Ken Kowalski introduced and carried the Act through the legislature. He said, Ken Kowalski “Mr. Chairman, could I repeat again during committee … that this Act was built, manufactured, written in consultation with the Association of Professional Engineers, Geologists, and Geophysicists of Alberta as well as the organization known as the Consulting Engineers of Alberta.” He also commented, “What this Bill will do, Mr. Speaker, is allow members of the Consulting Engineers of Alberta the right to title and the utilization of the phraseology “Member of the Consulting Engineers of Alberta” and to use the abbreviation MCEA after their names.” In 1992, the Consulting Engineers Act formalized the profession and with the by-laws and code-of ethics leads the consulting engineering profession today. “In his typical consultative fashion Ken Kowalski met with us over and over to ensure he fully understood our objectives and then he represented our interests in the legislature. He answered the questions and defended our profession during debate. We owe him a great deal of thanks,” says CEA President Craig Clifton. “We have right to a title and it is thanks to Ken Kowalski. Cory Wilson, P.Eng. Transportation Planning Manager, McElhanney Consulting Services Ltd. In addition to the Lieutenant Governor’s Award,CEA recognizes another individual with the Harold L. Morrison Rising Young Professional Award. Alberta Innovators typically only prints the award winner, but this year the CEA acknowledges all the nominees. The winner will be announced at the CEA gala event. In no particular order, we are pleased to present the nominees for the 2014 Young Professional Award. FirM: Stantec Consulting ltd. Client/Owner: Sacramento Municipal utility District lOCatiOn: Sacramento, California, uSa SUb COnSUltantS: buehler & buehler Structural engineers; rSC engineering inc; turley & associates COntraCtOrS: turner Construction Company; aCCo engineered Systems inc.; redwood City electric; intech Mechanical Other Key PlayerS: Stantec architecture inc.; rnl Design; Stantec Consulting ltd. the Sacramento Municipal utility District (SMuD) is showing its clients what’s possible. When america’s sixth largest utility district outgrew a 19-acre maintenance yard, it wanted a new facility to accommodate future growth and unite employees on one campus. as a major utility, SMuD takes energy efficiency seriously, so it incorporated stringent requirements into the design-build specifications, creating a genuine challenge for competing teams. the results are impressive. the team delivered a netzero campus with an advanced, hybrid energy system, balancing energy efficiency with capital costs. North LRT Drainage Projects FiRm: SMA consulting Ltd. CLieNT/OwNeR: city of Edmonton LOCaTiON: Edmonton, Alberta The North LRT Drainage Projects rerouted and augmented drainage for Edmonton’s new North LRT with a new 500-metre storm tunnel and the relocation of a large double-barrel tunnel. The downtown location of the tunnels meant encountering abandoned I-beams and concrete pilings. There were other major challenges: wet, sticky ground conditions, LRT coordination, traffic management, and tight laydown areas. SMA implemented rigorous planning and cost and schedule controls for the tunnels, including value engineering, constructability review, risk analysis, earned value analysis (EVA), Last Planner lean project management, and construction simulation. Ultimately, both tunnels were completed on schedule and well under budget. EPCOR’s Gold Bar Wastewater Treatment Plant treats more than 100 billion litres of wastewater a year. That’s 280 million litres – enough to fill 110 Olympic swimming pools – every day. Edmonton’s Combined Sewer Overflow Control Strategy means Gold Bar will receive even more wastewater, up to 1.2 billion litres per day. Innovation is necessary but difficult, because of environmental and regulatory constraints and Gold Bar’s complex processes. SMA Consulting developed an operations simulation model for the thickener/ fermenter tanks, generating 24 million pieces of data and 16,000 lines of code to allow EPCOR to test strategies for handling these loads safely and with full control. glacier skywalk Firm: read Jones Christoffersen client/owner: Brewster Travel Canada location: Jasper national Park, Alberta sub consultants: Sturgess Architecture; SMP Consulting Electrical Engineers; Thurber Engineering ltd.; urban Systems ltd.; golder Associates ltd.; rWdi group of Companies Consulting Engineers & Scientists contractor: PCl Constructors inc.
glacier Skywalk is a thrilling and dramatic structure. it features a geometrically complex kiosk, two pathways built into the side of the cliff with three distinct nodes – one cantilever, one cave, and one tunnel. The path ends at the discovery Vista, a 30-metre curved glass walkway extending up to 50 metres from the cliff face and 280 metres above Sunwapta Valley. read Jones Christoffersen (Prime Consultant and Structural Engineer), PCl Construction Management (Project lead, Construction and Quality Management), and Sturgess Architecture (Architect) led the delivery for owner Brewster Travel Canada. You don’t have to be a design or construction professional to appreciate the complexities of this project! Shawnee Park Subdivision Land Use Re-designation and Outline Plan FiRm: AECOM Canada Ltd. CLient/OwneR: Geo-Energy LOCatiOn: Calgary, Alberta OtheR Key PLayeRS: Dillon Consulting COMMUniTy DEvELOPMEnT AECOM worked with Geo-Energy Enterprises on the Land Use and Outline Planning and successful approval of the Shawnee Park development. This project will transform the former Shawnee Slopes golf course into a sustainable and bio-diverse residential development. The development will be characterized by retaining the majority of the beautiful mature trees, and will provide a variety of different housing types, shopping and employment opportunities. AECOM was instrumental in supporting Geo-Energy in securing the necessary approvals from the City of Calgary. Professional services provided included environmental, geotechnical, storm water, landscape architecture, infrastructure and transportation engineering. Linking Science and Community in a Changing North Firm: Golder Associates Ltd. CLieNt/OwNer: Kuglutuk Angoniatit Association & Angoniatit Niovikvia Ltd. LOCAtiON: Kugluktuk, Nunavut The environment is changing in the Canadian Arctic, where traditional users rely upon fish and wildlife for both subsistence and commercial livelihoods. In response to community concerns over declines in Arctic char fish harvests, Golder Associates worked with the Kugluktuk Hunters and Trappers Organization to study and address fish passage at a historically significant stream. Channel surveys and subsequent engineering to restore low-flows were guided by traditional knowledge. Community involvement and capacity building for Kugluktuk youth and residents was an integral part of the project, providing the community with the tools and knowledge to continue the project in perpetuity. gregoire east sanitary sewer outfall Firm: Associated Engineering Alberta Ltd. client/owner: Regional Municipality of Wood Buffalo locAtion: City of Fort McMurray, Alberta sub-consultAnts: Thurber Engineering Ltd.; CCI Inc. contrActor: DIRECT Horizontal Drilling The Gregoire East Sanitary Sewer Outfall Project expands the capacity of the City of Fort McMurray’s sanitary sewer system and enables future growth and economic development. The project involved open-cut construction in a busy commercial area and horizontal directional drilling (HDD) for large diameter steel pipelines passing under an actively sliding slope and protected waterway, through a geologic formation consisting of oil sands, and underneath the environmentally sensitive Saline Creek valley. Associated Engineering implemented a project management plan addressing technical and environmental challenges, including a steep terrain, restricted construction space and a multitude of public stakeholders and permit providers. the consortium of tailings Management consultants (aMec, Bgc engineering inc., golder associates ltd., Klohn crippen Berger ltd., NorWest corporation, thurber engineering ltd., and the university of alberta geotechnical group), was contracted by alberta innovates – energy and environment solutions and the oil sands tailings consortium to create an oil sands technologies deployment roadmap and action plan. the purpose of the plan was to assist government and industry to understand the available technologies, achieve more timely deployment of end-to-end tailings solutions, and develop a sustainable management plan for the oil sands industry. EVIMS (Earned Value Integrated Monitoring System) FIrM: SMA Consulting Ltd. ClIEnt/OwnEr: SMA Consulting Ltd. lOCAtIOn: Edmonton, Alberta SUB-COnSUltAnt: DRAXware Solutions OthEr KEy PlAyErS: City of Edmonton; AECOM EVIMS, the Earned Value Integrated Monitoring System, is SMA Consulting’s answer to uncertainty management and forecasting on infrastructure projects. This server-based solution integrates proven earned value techniques with Monte Carlo risk analysis, change management, and 4-D CAD visualization to allow performance monitoring and robust cost/schedule forecasting from anywhere, during any phase. The advanced rules of credit and state-of-the-art forecasting of EVIMS offer value to owners, consultants, and contractors by improving decision-making in uncertain conditions. Built on years of academic research and with the technical support of DRAXware solutions, EVIMS has seen success on close to $1 billion worth of projects. The City of Lethbridge completed a significant infrastructure project with the construction of sanitary sewer and treated water pipelines to service the West Lethbridge Employment Centre. MPE Engineering Ltd. provided engineering services and EBA Engineering Consultants Ltd. provided quality assurance services for sewer and water lines that cross the Oldman River, ascend the river valley along Bridge Drive, and cross the CPR Railway and University Drive to service West Lethbridge. A partnering process was employed to establish positive working relationships between the owner, the consultant, and the contractor. Whissell Contracting Calgary Ltd. started construction August 22, 2011 and completed the project March 26, 2012, two months ahead of schedule. Firm: MPE Engineering Ltd. Client/Owner: City of Lethbridge lOCatiOn: Lethbridge, Alberta SUB-COnSUltant: EBA, A Tetra Tech Company COntraCtOr: Whissell Contracting Calgary Ltd. Other Key PlayerS: Hogeweide Management Inc.
Southern alberta Disaster relief efforts Firm: OPUs stewart Weir Ltd. Client/Owner: OPUs stewart Weir Ltd. lOCatiOn: Calgary and High River, Alberta After the floods in southern Alberta this summer, Opus stewart Weir went into action. In addition to an immediate monetary donation to the Red Cross, it was obvious that we needed to do more. Opus stewart Weir made the decision to donate over 700 volunteer hours totaling $25,000 in support of relief efforts. As we look back, we are proud that our true values and commitment to the community rose to the challenge. We were compassionate, strong and made a conscious decision to help those in-need with planned and decisive actions; by showing leadership by giving back to the community when it was desperately needed. emergency operations centre Firm: Stantec Consulting Ltd. client/owner: The City of Calgary and the Calgary Emergency Management locAtion: Calgary, Alberta sub consultAnts: Mulvey + Banani International (Alberta) Ltd.; Manasc Isaac Architects Ltd.; Read Jones Christoffersen Ltd.; and Enersys Analytics Inc.; contrActors: Hoover Mechanical Plumbing and Heating Ltd. other Key PlAyers: Bird Construction during an emergency event or disaster, the Emergency operations Centre (EoC) coordinates the activities necessary to ensure citizen safety and essential services are maintained. This vital facility is the eyes, ears, and hands protecting citizens, property, and equipment. The EoC includes both emergency measures and the new City data Centre over three stories, with two levels underground where majority of people and equipment are located. The team designed, assisted through construction, and tested the mechanical heating and cooling, fire protection, sanitary, and backup power solutions for this mission critical facility. BuILdING ENGINEERING judges’ comments: This project demonstrates ingenuity in the province for a critical function in balance with the interests of the neighbouring community. the West overburden Disposal area is the first retrofitted, geomorphically-designed landform constructed at Shell canada energy’s jackpine Mine. Designed by cH2M HILL and subconsultant Kc Harvey environmental, this new approach uses quantitative geomorphology to design hillslope and valley morphometry similar to natural landforms. Designed transitions from hillslopes to valleys provide direct control of where channels begin on the landform. retrofitting an in-construction landform to a geomorphic design decreases cut/fill, material stockpile, and haul truck time, as well as long-term maintenance costs and limits erosion and sedimentation. the geomorphic design enhances long-term stability, decreasing risk of catastrophic landform changes beyond closure. Highway 63 Widening in Fort McMurray: Pinch Point Secant Pile Wall FirM: AECOM Canada Ltd. Client/OWner: Alberta Transportation lOCatiOn: Fort McMurray, Alberta Sub-COnSultant: Thurber Engineering Ltd. COntraCtOr: Graham OtHer Key PlayerS: Tervita; Red Deer Piling; and Stantec Consulting Ltd. The secant pile wall with strand anchors fulfills an important role in the Highway 63 widening project in Fort McMurray. This 420-metre-long, nine-metre-high wall retains a steep, unstable hillside where the roadway alignment is tightly constrained at the base of the hill by the Athabasca River. This slender wall design maintains roadway geometry and safety standards along this portion of the highway. AECOM was responsible for the wall design and Thurber provided geotechnical input. This project demonstrated excellent collaboration with the contractor, and the design had to consider complex loading variables and multiple stages of wall construction. Brian Williams, C.E.T. Business Development Manager, Nilex Inc.
Inspiring Sustainable Thinking Committed to integrating sustainable solutions into our project work and our corporate culture, ISL Engineering and Land Services delivers planning and design solutions for transportation, water and land projects. ISL is dedicated to working with all levels of government and the private sector to deliver planning and design solutions that address the challenges that come with growth in urban and rural communities. National Bank Financial is an indirect wholly-owned subsidiary of National Bank of Canada which is a public company listed on the Toronto Stock Exchange (NA: TSX). National Bank Financial is a member of the Canadian Investor Protection Fund (CIPF). Hatch Mott MacDonald Hemisphere Engineering Inc. CONSULTING ENGINEERS of ALBERTA CEA member firms impose upon themselves a very strict Code of Ethics requiring disciplined fulfilment of their duties with honesty, justice and courtesy toward society, clients, other members of CEA and employees. ongoing regulation by peers ensures quality management practices and the integrity of all CEA members. CEA membership accreditation criteria are stringent. In addition to conforming with the standards of practice set by the Association of Professional Engineers and Geoscientists of Alberta (APEGA) and the requirement to hold an APEGA Permit to Practice, member firms must maintain permanent facilities with employees in Alberta; be managed by one or more professional engineers; have at least two years operating experience as a consulting engineering business; and employ an individual in Alberta who has at least five years experience in consulting engineering as a professional engineer. Clients benefit directly by dealing with CEA member firms, professionals who are keenly interested in maintaining and promoting their own business association which, in turn, advocates the veracity and trust which can be expected from each of its members. 1. Members shall practise their profession with concern for the social and economic well-being of society. 2. Members shall conform with all laws, bylaws and regulations and with the APEGA Code of Ethics. 3. Members shall satisfy themselves that their designs and recommendations are safe and sound and, if their engineering judgment is overruled, shall report the possible consequences to clients, owners and, if necessary, the appropriate public authorities. 4. Members expressing engineering opinions to the public shall do so in a complete, objective, truthful and accurate manner. 5. Members are encouraged to participate in civic affairs and work for the benefit of their community and should encourage their employees to do likewise. Clients 6. Members shall discharge their professional and business responsibilities with integrity. 7. Members shall accept only those assignments for which they are competent or for which they associate with other competent experts. 8. Members shall immediately disclose any conflicts of interest to their clients. 9. Members shall respect the confidentiality of all information obtained for and from their clients but shall deal appropriately with any matters which may place the public in jeopardy. 10. Members shall obtain remuneration for their professional services solely through fees commensurate with the services rendered. 11. Members shall promote consulting engineering services in accordance with a qualifications-based selection system endorsed by CEA. Other Members 12. Members shall relate to other members of CEA with integrity and in a manner that will enhance the professional stature of consulting engineering. 13. Members engaged by a client to review the work of another member of CEA shall avoid statements which may maliciously impugn the reputation or business of that member. 14. Members shall respect the clientele of other members of CEA and shall not attempt to supplant them when definite steps, including negotiations for an engagement, have been taken towards their engagement. 15. Members, when requesting professional engineering services from other consulting engineering businesses, including members of CEA, shall promote the use of a qualifications-based selection system endorsed by CEA. Employees 16. Members shall treat their employees with integrity, provide for their proper compensation, require that they conform to high ethical standards in their work and fully understand this Code of Consulting Engineering Ethics. 17. Members shall not require or permit their employees to take responsibility for work for which they are not qualified. 18. Members shall encourage their employees to enhance their professional qualifications and development through appropriate continuing education. Associated Engineering is a Canadian, employee-owned consulting firm specializing in planning, engineering, environmental science, and landscape architecture. We provide consulting services in the transportation, infrastructure, water, environmental, energy, building, and asset management sectors. Sustainability is part of our business and part of every project we undertake. This is our commitment to giving back to our community, improving the environment, and reducing our carbon footprint. For more information, please visit www.ae.ca.